It's just that the announcement seemed a bit confusing to me. Update is out. Kari 3 Pro now has fullscreen!!! Awesome...I lost my drive and had to start over. Full screen turned my sad to glad! Mik, just want to thank you for your video wishing me luck. That was something very special to me! Thanks a lot good friend! Hey Guile, thanks for visiting the thread! You're welcome! It was fun making the video for ya. Again, good luck! And don't worry if things are slow at the beginning. It took me like 2 years to get Kari really going. I'm sure it will be sooner for you! With Vittorio's permission I'd like to share this little application. If not, I can delete this message. It will check the forum for any new messages and minimizes to your icontray. Now you don't have to constantly be checking VHF for new messages. 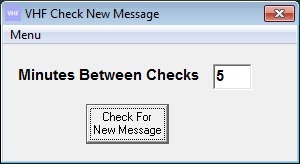 Upon a new message it will alert you and even open your browser. Here is a new free application for Kari. It's a Kari Skin Maker! It's very easy to use. 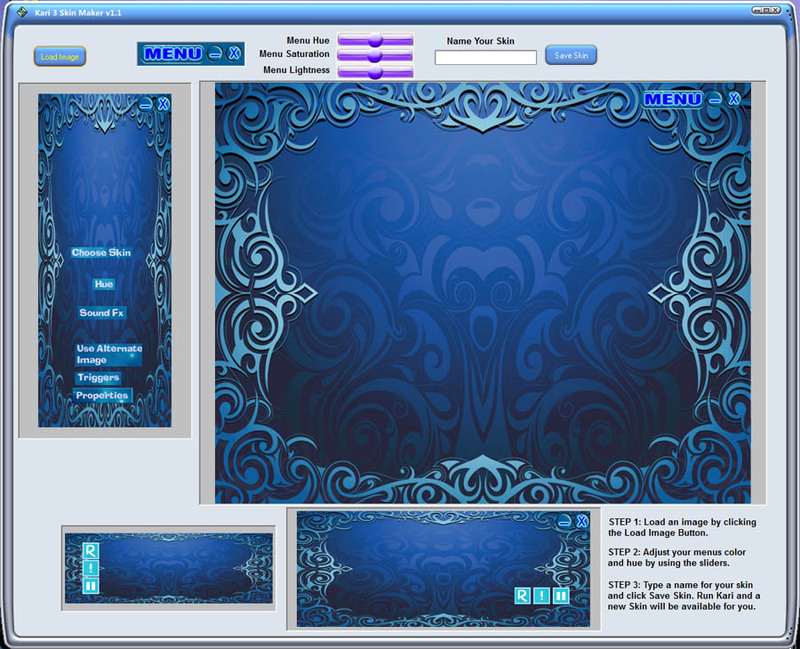 You just load one of your favorite images into the program, adjust the menu sliders for color, and export it. Your Kari now has a new skin! Here is the link to download it. Should work right out of the box. Let me know if you're missing a dependency and I'll wrap it up in an installer. Shouldn't be an issue though. Edit: Yep, had to package it up in an installer. Needed C++ runtime libraries. I am a long-time fan of your creations and have every one of them. Recently I switched to Mac. It would be nice to have Kari and others on that platform. Especially now when the mac app store is out. I personally dislike them... and well 85% of users are PC users with Mac coming in at 6.75% and the rest Linux or Unix. Maybe someday... when I'm done with most of my projects. Got a new toy for my office. Check this out. Here is AiBliss on my wall! Looks absolutely awesome. I measured it as a 75 inch display! I have a bean-bag in here and it's just fun sitting on it and playing Kari or AiBliss in 3D. Yep, it has 3D capabilities. Works with my Nvidia 3D Vision glasses. It's an Acer HD5360 projector. One of the new class of 3D projectors available for an affordable price. Haven't had this much fun in a long time. You can also watch 3D movies of course. Avatar 3D is totally amazing on this thing. I got Shrek 3D too which is cool too. If you could make the background transparent and just have the avatar it'd be awesome! Kinda like that new sony thing, those ipets or whatever they are. Kinda like that new sony thing, those ipets or whatever they are. Works in 3D too like the 3d movies in the theaters. It's fun anyways. Here are a few shot of AiBliss on the "Black" level. Sometimes I like to put all my projects away and just create something pretty. 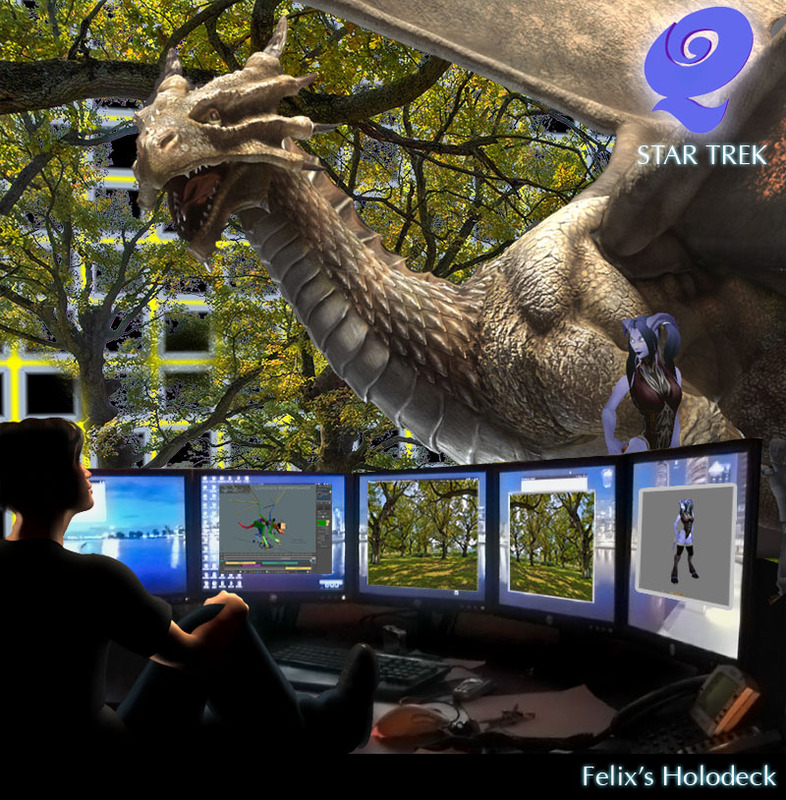 I did this one with Lightwave (the cave) and Poser 2010 (the girl). 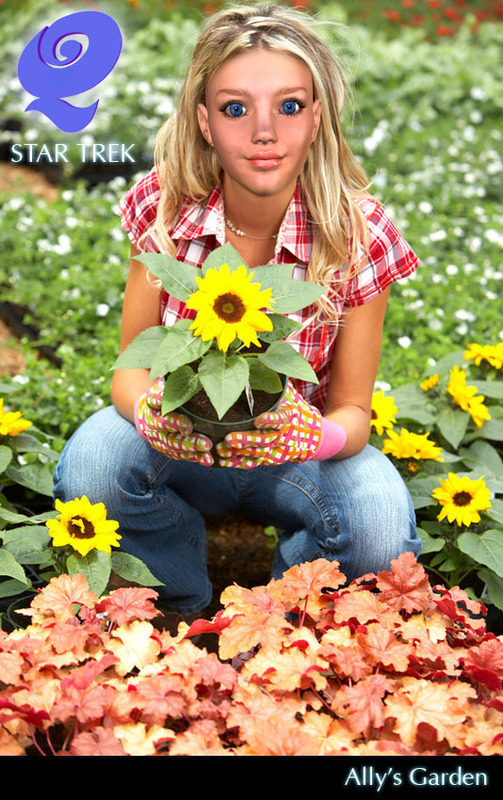 Working on some Star Trek Q. This reminds me of the book and movie Contact where Elli would listen to washing machine noise on her radio telescope for patterns in the chaos. Here I am using a live webcam of 5th Avenue in New York to try to talk to God. I use the image information to create a unique number and I use that seed to choose words from a database. Most of the time it spits out nonsensical things. But there are moments where through the chaos a message becomes clear. 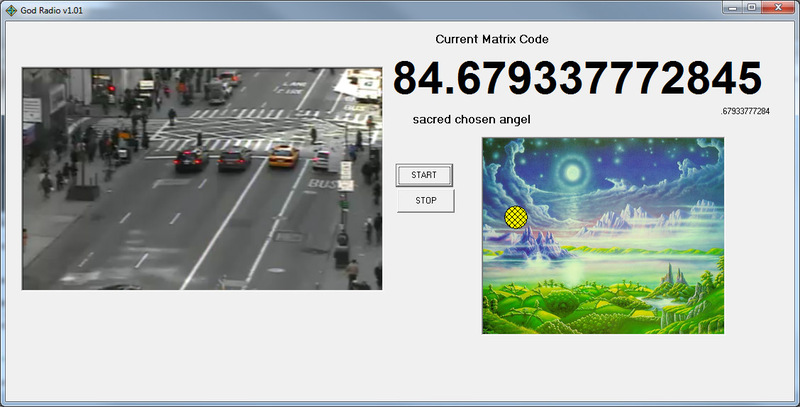 In the image above I waited about 2 minutes before capturing the message "sacred chosen angel" then it went on to explain how difficult it is to manipulate the "stream" to create these messages. At least that's what I gathered. Anyway... it's a very cool toy. Especially in the light of new quantum physics that states that the observer creates his own reality. What we are witnessing here is an attempt to bend the laws of physics and gather information about a higher level of being. I also have a ball that is moved slightly in any direction God wants to move it. It uses the same seed to move the yellow ball in any direction.